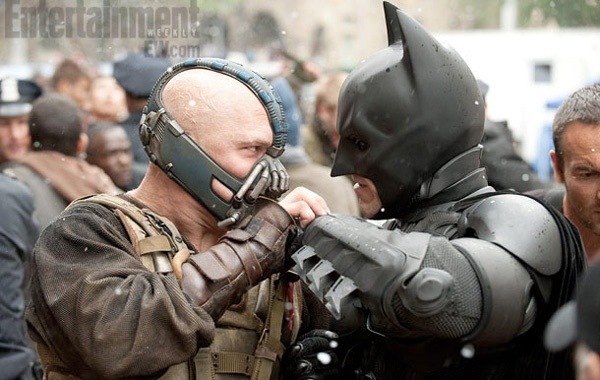 New images of The Dark Knight Rises came along with the latest issue of Entertainment Weekly and loads of great information. I think when people see the film, things will come into focus. 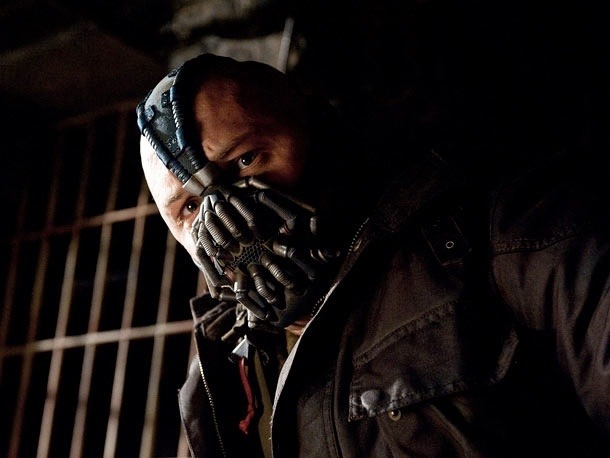 Bane is very complex and very interesting and when people see the finished film people will be very entertained by him. My last day in the suit was also the last day of shooting for me. I was in New York, on top of a downtown skyscraper. The day begin with Morgan Freeman and then ended with Anne Hathaway. I got to say goodbye from within the batcowl. Nolan also discusses the potential political subtext of The film. The Dark Knight Rises issue of Entertainment Weekly hits stands tomorrow, but you can buy the digital version on your iPad or tablet today! The Dark Knight Rises explodes in theatres on July 20th, 2012.